It is well established that all cells are surrounded by a biological membrane, called the plasma membrane that separates the interior from the external environment. Thus, the plasma membrane is characteristic to all living things and forms the boundary between the biological content of the cell and the nonliving outside world. In most cells, the plasma membrane comprises a phospholipid bilayer that encloses the cytoplasm and should not be merely viewed as a semipermeable bag. Rather, the plasma membrane is of crucial importance and highly complex both chemically and functionally. This is evident by considering, for example, the bacterial cell envelope, comprising the membranes and other structures that enclose the cytoplasm (1). In 1884, the Danish physician Hans Christian Gram developed a staining procedure, which allowed him to classify bacteria into two large groups. This Gram stain is still an important microbiological procedure. Based on the results of the Gram stain bacteria are divided into Gram positive and Gram negative. Gram positive cells retain the stain and remain purple, while Gram negatives are decolorized. These contrasting results are caused by structural differences in the cell envelope of these bacteria. The cell envelope of Gram negatives such as Escherichia. coli is made up of three main layers (figure 1 courtesy of medimoon.com), namely: the plasma or inner membrane (IM), the peptidoglycan layer and the outer membrane (OM). The peptidoglycan is located in the periplasm, an aqueous compartment between the IM and OM. Unlike the IM, the OM is not a lipid bilayer. Its inner leaflet is made up of lipids, while the outer leaflet of the OM contains glycolipids with lipopolysaccharide (LPS) as dominant one. The cell envelope of Gram positives such as Staphylococcus aureus is strikingly different when compared to the Gram negative cell envelope (figure 1). 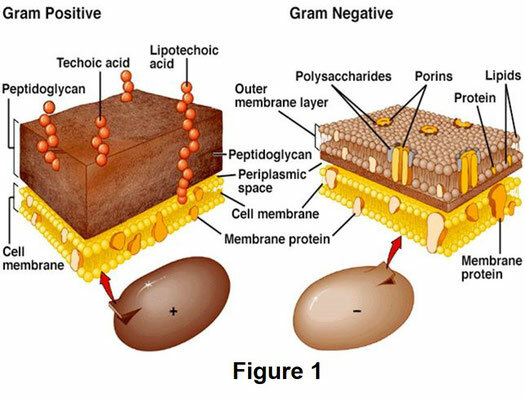 Most importantly, Gram positives lack an outer membrane and are, moreover, surrounded by a thick peptidoglycan layer, while the peptidoglycan layer of Gram negatives is relatively thin. The outside of the Gram positive peptidoglycan layer is decorated with long negatively charged polymers, called teichoic acids, and proteins (1). All compartments of the Gram negative cell envelope contain proteins with unique physiochemical properties such as membrane proteins embedded in the IM and OM as well as hydrophilic periplasmic proteins. Typically, the IM contains membrane embedded proteins equipped with hydrophobic alpha-helical transmembrane domains (TMDs), whereas the OM is rich in two different types of membrane proteins. These include β-barrel proteins and lipoproteins. β-barrel proteins are anchored into the OM through transmembrane β strands. In contrast, lipoproteins contain lipid moieties that are responsible for attachment to the membrane and these proteins are therefore not transmembrane proteins. Lipoproteins comprise about 3% of a typical bacterial proteome and are involved in a myriad of functions, ranging from cell envelope structure to signal transduction and transport. Moreover, these proteins play a crucial role in virulence and antibiotic resistance (1,2). Lipoproteins are synthesized in the cytosol as precursors with an N-terminal signal sequence which is responsible for directing and anchoring it to the IM with the protein domain in the periplasm. Following membrane translocation, lipoproteins are subjected to different posttranslational maturation steps, resulting in the attachment of lipid moieties and proteolytic removal of its signal sequence (2). Depending on internal target sequences, the mature lipoprotein is subsequently sorted to the outer membrane. Here I will discuss the biochemical and structural features of the enzymes that make up the Gram negative lipoprotein maturation pathway. Bacterial lipoproteins are a subset of membrane proteins that are modified with lipid moieties unlike human plasma lipoproteins. The lipid moieties are posttranslationally added and anchor the protein domain to the membrane. In E. coli most lipoproteins are attached to the inner leaflet of the OM with the protein part residing in the periplasm, while other lipoproteins have their protein domain localized at the cell surface, or remain bound to the outer leaflet of the IM. Lipoproteins are synthesized as precursors with an N-terminal signal sequence of about 20 residues in the bacterial cytoplasm. The overall architecture of a lipoprotein signal sequence is highly similar to the signal peptide of secretory proteins with a short positively charged region at the N-terminus (n-region), followed by an alpha-helical hydrophobic region (h-region), and the signal peptidase cleavage site at the C-terminus (c-region). In addition, lipoprotein signal sequences contain a consensus sequence (Leu-Ala/Ser-Gly/Ala-Cys) in the C-terminal region, which is known as the lipobox (figure 2 adapted from 3) The cysteine residue of the lipobox is highly conserved and represents the first residue of the mature lipoprotein. This residue is modified with diacylglycerol and acyl chains (2). In E. coli, lipoprotein precursors are, depending on the nature of their signal sequence, translocated across the IM via the Sec or TAT pathway (2). Following membrane translocation, the signal sequence of the pre-pro-lipoprotein is inserted into the IM and the protein domain is localized into the periplasmic space. Subsequently, diacylglycerol is attached to the conserved cysteine of the lipobox by lipoprotein diacylglyceryl transferase (Lgt), yielding an acylated pro-lipoprotein. This modification is required for recognition by lipoprotein signal peptidase II (LspA), which removes the signal sequence, generating diacylglycerol apo-lipoprotein. 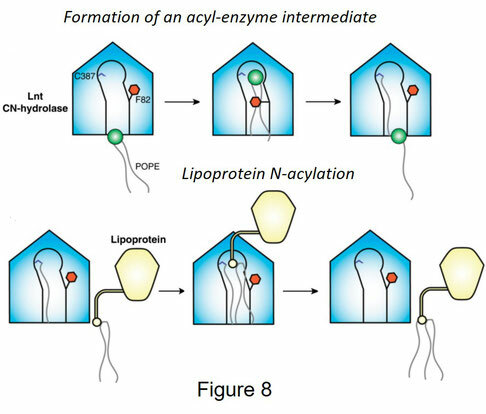 Next, a third acyl chain is added to the conserved cysteine by lipoprotein N-acetyltransferase (Lnt), yielding the mature lipoprotein (2,4). Based on the presence of internal sorting signals lipoproteins remain in the IM or are transferred to the OM by the Lol system (1,2). The posttranslational maturation and sorting by the Lol system of E. coli lipoproteins is schematically shown in figure 3 (adopted from 5). The vast majority of the lipoproteins in E. coli is localized to the OM this implies that, following their maturation in the IM, lipoproteins are transferred to the OM. It has been shown that the residue next to the N-terminal cysteine (+ 2 position) is crucial for OM sorting. Specifically, Asp at this position ensures that the lipoprotein remains in the IM, while other residues are responsible for OM sorting. Mechanistically, this is accomplished by the Lol system, comprising LolA, B, C, D and E. Release of lipoproteins from the IM is catalyzed by the membrane embedded LolCDE complex, a member of the ABC transporter superfamily, upon ATP hydrolysis. Lipoproteins with an Asp at the +2 position are not recognized by this complex and are therefore not released unlike lipoproteins with other residues at this position. Additionally, only triacylated lipoproteins are released by LolCDE. LolA is a periplasmic protein that binds released lipoproteins and shuttles these through the periplasm. At the OM, the LolA-lipoprotein complex interacts with LolB, which is bound to the inner leaflet of the OM after which the lipoprotein is handed over to LolB and transfers it to the OM. Recently, high resolution structures of all enzymes of the bacterial lipoprotein maturation pathway were solved, furthering the mechanistic understanding of lipidation and signal sequence removal. This is discussed in more detail below. Proper lipoprotein biosynthesis is vital for the viability of Gram negative bacteria and their maturation requires the sequential activities of three essential enzymes, namely: lipoprotein diacylglyceryl transferase (Lgt), signal peptidase II (LspA) and lipoprotein N-acetyltransferase (Lnt). Together, these enzymes generate a triacylated mature lipoprotein. Lgt is the first enzyme of the lipoprotein maturation pathway and was initially described in 1994. Subsequent biochemical characterization established that it is a membrane transferase of 33 kDa and catalyzes the diacylation of pre-pro-lipoproteins. These are covalently attached to the conserved cys of lipobox containing peptides through a thioester linkage between thiol group of cys and diacylglycerol in the IM (2). Recently, the structure of E. coli Lgt was solved at 1.9 Å (6). This structure is shown in figure 4, revealing a monomeric enzyme that comprises a core made up of seven transmembrane domains (left panel). These are divided into a small (in blue) and a large domain (in green) with both termini in the cytoplasm. Moreover, the small periplasmic head domain that is located between TMD 4 and 5 and adopts a globular conformation containing β-sheets and α-helices. Arm-1 and 2 comprise two additional periplasmic loops located N-terminally of TMD1 and between TMD2 and 3 (right panel). Arm-2 may be required for the recognition and binding of phosphatidylglycerol. R143 represents (shown as red spheres in the left panel) a catalytically important residue is located at the membrane periplasm interface, suggesting that the active site faces the periplasm. In accordance with the positive inside rule, the periplasmic side of the structure is negatively charged, while the cytoplasmic side is positively charged. A hydrophobic surface representation of the enzyme is shown in the middle panel with the most hydrophobic residues in red and hydrophilic amino acids in white. This reveals a central cavity between the small and large transmembrane domains with a hydrophilic top and hydrophobic bottom. The central cavity opens towards the periplasmic side and contains a side and front cleft that lead to bulk lipid. Conceivably, these clefts enable the entrance of substrates (phosphatidyl glycerol and lipobox-containing peptides) or release of products. The structure containing phosphatidylglycerol is shown in the right panel and shows that the lipid is located is located in the central cavity. Thus, the central cavity is used for the transfer of phosphatidylglycerol towards the active site with the hydrophobic tail at the bottom and the charged head group at the top. Remarkably, two phosphatidylglycerol molecules are present in the central cavity, indicating that the central cavity possesses two phosphatidylglycerol-binding sites. Based on the structural data discussed above two potential models for the mechanism of Lgt were proposed (figure 5 adopted from 6). In the first model (top panel) two molecules of phosphatidylglycerol (PG) are located in the first and second PG binding site of the central cavity. One diacyl glyceryl moiety from the PG molecule in site 2 is transferred to the lipobox containing peptide upon binding of the pre-pro-lipoprotein. The lipidated substrate will leave through the side cleft, whereas glycerol-1-phosphate exits through central cavity into the periplasm. Subsequently, PG located in site 1 will move to site 2 for the next catalytic cycle. 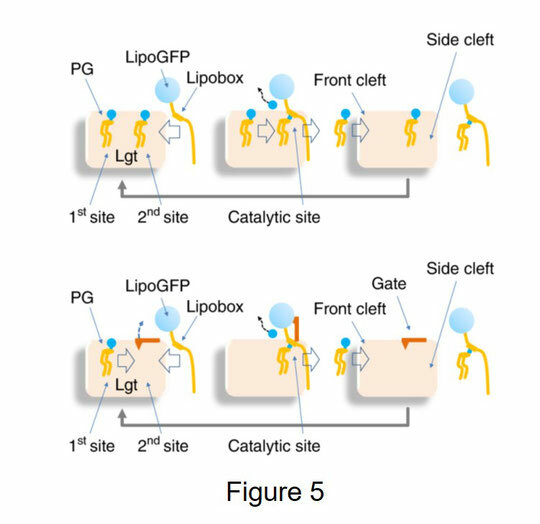 Alternatively (bottom panel), conformational changes within Lgt drive the transfer of PG in site 1 to site 2 priming it for catalysis as described above. Upon completion of the transferase reaction, conformational changes allow the entrance of PG into site 1. This ensures another round of catalysis. Lipoprotein-specific signal peptidase (LspA) is the second enzyme of the lipoprotein maturation pathway and is responsible for removal of the signal peptide. This enzyme is essential in Gram negative bacteria in contrast to Gram positive bacteria. LspA only recognizes diacylated pro-lipoproteins and these are cleaved in front of the conserved cysteine of the lipobox. The gene encoding lipoprotein-specific signal peptidase was first characterized in 1983 (7) and it was subsequently shown that it represents a small membrane-embedded aspartyl protease of about 18 kDa. Recently, the structure of LspA from Pseudomonas aeruginosa in complex with the antibiotic globomycin was solved at 2.8 Å (8). Globomycin is a cyclic peptide antibiotic produced by different Streptomyces bacteria and is effective against Gram negative bacteria. The structure of LspA bound to globomycin is presented in figure 5 and shows a monomeric enzyme with an overall structure that is made up of two domains (upper left panel), namely: a membrane-embedded core that contains 4 TMDs with both termini in the cytoplasm (in green) and a periplasmic domain. The latter comprises two subdomains, the so-called β-cradle that is formed by four stranded β-sheets and is shaped as a cupped hand as well as short periplasmic helix. Both subdomains reside on the periplasm-membrane interface. Globomycin (in purple spheres) is located between TMD2, 3 and 4 on the periplasmic side of the membrane, suggesting that the active site is buried within the membrane. Moreover, the periplasmic helix covers the active site, thereby blocking access from the periplasm. 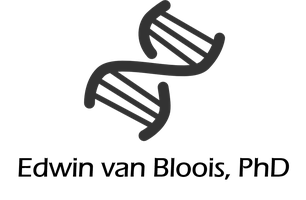 TMD2 and 4 have been implicated in substrate binding. Asp124 and asp143 comprise the catalytic dyad (shown in blue ball and sticks). A hydrophobicity map of the enzyme is shown in the right panel with the most hydrophobic residues in red and hydrophilic amino acids in white. This reveals a hydrophobic core corresponding to TMD1-4 as well as a hydrophilic top and bottom. Consequently, the apolar part of globomycin is located in the membrane, whereas the polar part is on the membrane-periplasm interface. Globomycin is stabilized by an extensive network of hydrogen bonds with residues of LspA extending into the membrane between the periplasmic subdomains (bottom panel). Of these, Asn54, Asn140 and Asn112 are strictly conserved (shown as yellow ball and sticks). Additionally, globomycin is tightly bound to Asp124 and Asp143 (shown as blue ball and sticks) through hydrogen bonds. These residues comprise the catalytic dyad. Globomycin is bound by LspA in a similar way as a lipobox-containing signal peptide. It seems therefore that this antibiotic inhibits LspA by acting as a non-cleavable signal peptide that blocks the active site. Accordingly, globomycin represents a competitive inhibitor. According to the structural data discussed above, it can be concluded that Asp124 and Asp143 are ideally positioned to catalyze removal of a lipoprotein signal peptide through hydrolysis of the peptide bond in front of the conserved cysteine of the lipobox. The apoliprotein is bound to membrane via its two acyl chains and should subsequently diffuse out of the active site. The final step in the maturation of lipoproteins is catalyzed by lipoprotein N-acetyltransferase (Lnt). This enzyme transfers an acyl chain to the N-terminal cysteine of an apo-lipoprotein, yielding a triacylated mature lipoprotein. Lnt was initially identified in 1993 in a conditional mutant of Salmonella typhimurium devoid of apolipoprotein N-acyltransferase activity (9). Lnt is essential in Gram negative bacteria, while it is absent in Gram positives. Lnt comprises a membrane-embedded nitrilase and its structure was recently reported in different independent studies (10,11,12). 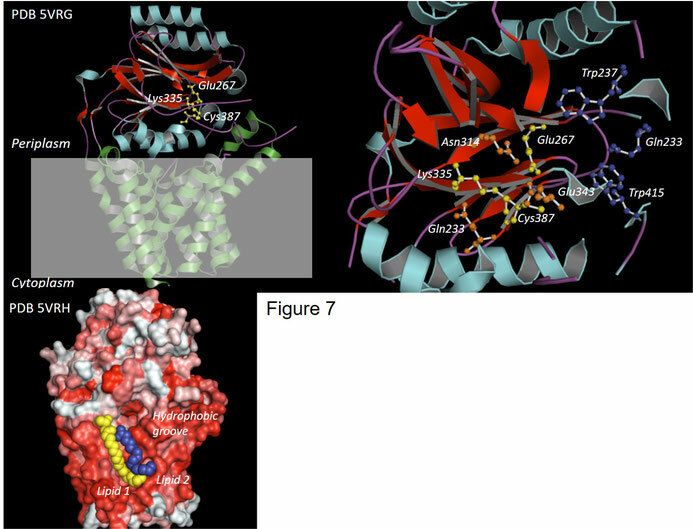 These include the structure of the E coli enzyme at 2.5 Å, which is shown in figure 7 (12) and a reveals a monomeric protein made up of membrane-embedded core and a periplasmic domain with a αββα fold (top left panel). The membrane-embedded domain comprises eight TMDs (shown in green) and the periplasmic domain represents the business part containing the active site with its three catalytic residues (Glu267, Lys335 and Cys387). Catalytically, Glu267 functions as a general base that abstracts a proton from Cys387. This step is required to initiate the catalytic cycle. Other functionally important residues are shown in the right top panel and these include residues that are required for binding of the phosphate head group of the lipid substrate (shown as blue ball and sticks). In fact, these residues make up the phosphate recognition site. Additionally, residues that stabilize the active site or transition state intermediate are represented as orange ball and sticks. A hydrophobic surface representation of Ltg mutant C387S is shown in the bottom left panel with the most hydrophobic residues in red and hydrophilic amino acids in white. This shows a hydrophobic channel that leads from the active site to the membrane and probably contains the binding site for lipid substrates. Indeed, the structure of Ltg C387S contains two lipids at the mouth of the hydrophobic channel (in yellow and blue spheres), suggesting the presence of two lipid binding sites. The hydrophobic groove is enclosed by two loops of which the second one connects TMD4 and 5 and contains phenylalanine 82. This residue is of particular importance because it runs across the hydrophobic groove and surrounds the lipids in both binding sites. MD simulations show that phenylalanine 82 is highly flexible and it is therefore conceivable that this residue may function as a gate that controls lipid binding and release. Based on the structural data discussed above, the following mechanistic model was proposed (figure 8 adapted from 12) and comprises two steps. In the first step (top panel), phenylalanine 82 is in the open position, allowing a lipid molecule (POPE) to bind in the hydrophobic groove. This closes phenylalanine 82 and enables the covalent binding of an acyl chain to cys 387, resulting in the formation of an acyl-Lnt intermediate after which the remaining lipid byproduct is released from the active site and opening of phenylalanine 82. This primes Lnt for the second step which is initiated by binding of an acyl chain of the diacylated apo-lipoprotein. Subsequently, the acyl chain of the acyl-Lnt intermediate is transferred to N-terminal cysteine of the diacylated apo-lipoprotein, resulting in the formation of a triacylated mature lipoprotein. This is sorted next to the OM through the Lol system. The bacterial cell envelope is a complex structure made up of different layers each containing specialized proteins and other biomolecules. Lipoproteins, for example, are a subset of membrane proteins that are present in the cell envelope of many bacteria, including important human pathogens. Lipoproteins comprise about 3% of a typical bacterial proteome and are play a role in a plethora of functions, including maintenance of cell envelope structure, signal transduction and transport. Moreover, these proteins play a crucial role in virulence and antibiotic resistance. 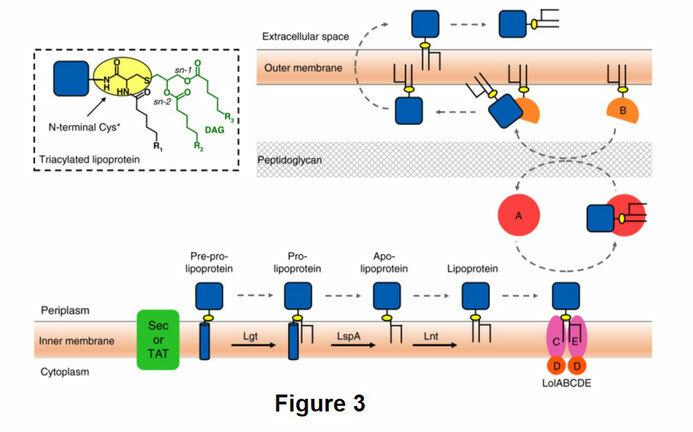 In the Gram negative bacterium E. coli, lipoproteins are synthesized as precursors with an N-terminal signal sequence that facilitates transport across the inner membrane via the Sec or TAT pathway (2). Though overall similar to other signal sequences, lipoprotein-specific signal sequences contain the defining lipobox. This is a consensus sequence (Leu-Ala/Ser-Gly/Ala-Cys) in the C-terminal region. Importantly, the cysteine residue of the lipobox is highly conserved and represents the first residue of the mature lipoprotein. This residue is modified with diacylglycerol and acyl chains (2) upon maturation. The maturation of Gram negative lipoprotein precursors occurs after a membrane translocation and involves three posttranslational steps that are catalyzed by three different membrane-embedded enzymes. First, diacylglycerol is attached to the conserved cysteine of the lipobox by lipoprotein diacylglyceryl transferase (Lgt), yielding an acylated pro-lipoprotein. Subsequently, lipoprotein signal peptidase II (LspA) removes the signal sequence, generating diacylglycerol apo-lipoprotein. Finally, a third acyl chain is added to the conserved cysteine by lipoprotein N-acetyltransferase (Lnt), yielding the mature lipoprotein (2,4). In most Gram negatives the enzymes of the lipoprotein maturation pathway are essential for cell viability. Moreover, homologues of these enzymes are not present in eukaryotes and these are therefore of interest as potential target for the development of novel antibiotics. It is expected that the recently solved structures of Lgt, LspA and Lnt will open up new avenues for the design of novel antimicrobial drugs. 1. Silhavy TJ, Kahne D, Walker S. 2010. The bacterial cell envelope. Cold Spring Harb Perspect Biol. 2(5): a000414. 2. Narita SI, Tokuda H. 2017. Bacterial lipoproteins; biogenesis, sorting and quality control. Biochim Biophys Acta. 1862: 1414-1423. 3. Dalbey RE, Wang P, van Dijl JM. 2012. Membrane proteases in the bacterial protein secretion and quality control pathway. Microbiol Mol Biol Rev. 76: 311-330. 4. Nakayama H, Kurokawa K, Lee BL. 2012. Lipoproteins in bacteria: structures and biosynthetic pathways. FEBS J. 279: 4247-4268. 5. Wiktor M, Weichert D, Howe N, Huang CY, Olieric V, Boland C, Bailey J, Vogeley L, Stansfeld PJ, Buddelmeijer N, Wang M, Caffrey M. 2017. 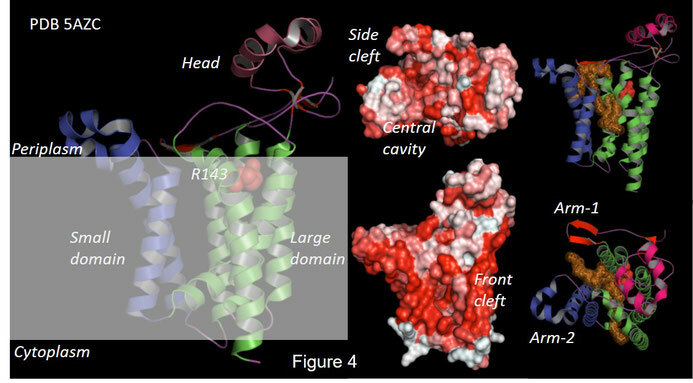 Structural insights into the mechanism of the membrane integral N-acyltransferase step in bacterial lipoprotein synthesis. Nat Commun. 8:15952. 6. Mao G, Zhao Y, Kang X, Li Z, Zhang Y, Wang X, Sun F, Sankaran K, Zhang XC. 2016. Crystal structure of E. coli lipoprotein diacylglyceryl transferase. Nat Commun.7:10198. 7. Yamagata H, Taguchi N, Daishima K, Mizushima S. 1983. Genetic characterization of a gene for prolipoprotein signal peptidase in Escherichia coli. Mol Gen Genet. 192: 10-14. 8. Vogeley L, El Arnaout T, Bailey J, Stansfeld PJ, Boland C1, Caffrey M. 2016. 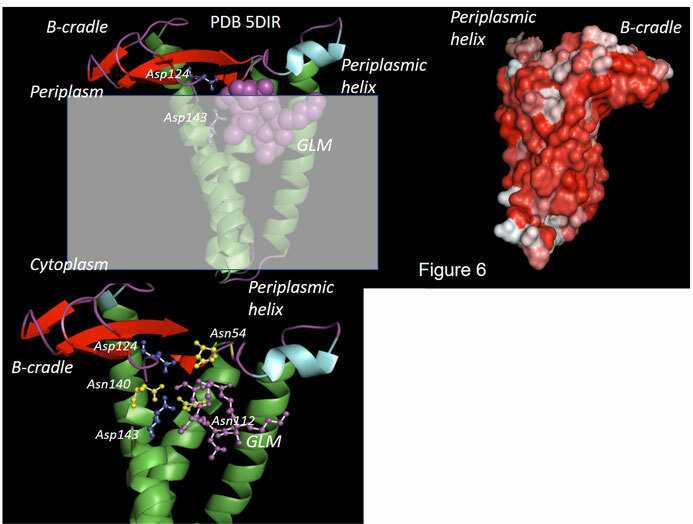 Structural basis of lipoprotein signal peptidase II action and inhibition by the antibiotic globomycin. Science. 351: 876-880. 9. Gupta SD, Gan K, Schmid MB, Wu HC. 1993. Characterization of a temperature-sensitive mutant of Salmonella typhimurium defective in apolipoprotein N-acyltransferase. J Biol Chem. 268: 16551-16556. 10. Lu, G., Xu, Y., Zhang, K., Xiong, Y., Li, H., Cui, L., Wang, X., Lou, J., Zhai, Y., Sun, F., Zhang, X.C. 2017. Crystal structure of E. coli apolipoprotein N-acyl transferase. Nat Commun 8: 15948. 11. Wiktor, M., Weichert, D., Howe, N., Huang, C.Y., Olieric, V., Boland, C., Bailey, J., Vogeley, L., Stansfeld, P.J., Buddelmeijer, N., Wang, M., Caffrey, M. 2017. Structural insights into the mechanism of the membrane integral N-acyltransferase step in bacterial lipoprotein synthesis. Nat Commun 8: 15952. 12. Noland, C.L., Kattke, M.D., Diao, J., Gloor, S.L., Pantua, H., Reichelt, M., Katakam, A.K., Yan, D., Kang, J., Zilberleyb, I., Xu, M., Kapadia, S.B., Murray, J.M. 2017. Structural insights into lipoprotein N-acylation by Escherichia coli apolipoprotein N-acyltransferase. Proc. Natl. Acad. Sci. U.S.A. 114: E6044-E6053.